But because of a pre-existing gag-order, they couldn’t tell the public what was in it. Wednesday, one week after a federal judge partially lifted that gag order, Butte locals got to unwrap that long-awaited Christmas present, and are starting to find out what’s in store for their town. Nikia Greene, the local project manager for EPA, spoke to a crowd of over a hundred people at Montana Tech at one of several public meetings on Wednesday. He was joined by other representatives from EPA, the state of Montana, Butte-Silver Bow County, and the Atlantic Richfield company. They all seemed eager to reveal the nuts and bolts of the draft cleanup plan, or “conceptual agreement." Patricia Gallery, a VP with Atlantic Richfield, said the agreement requires all parties involved to cooperate. “This proposal will also allow our company and everyone in Butte to successfully complete one of the most complex and long standing remediation projects in the US," Gallery said. To get to that finish line by 2024, their proposed cleanup has four key areas of cleanup. One is removing approximately 1 million cubic yards of old mine tailings from along the Silver Bow and Blacktail Creek corridors in town and relocating Silver Bow Creek where necessary. The state has long advocated for that waste to be removed. Dan Villa, with Governor Bullock’s office, explained why. "The work we’ve done at Milltown, and the work that is being done on the Clark Fork, and the work that we hope to do in Anaconda, and the work that’s been done on Streamside, along Silver Bow Creek, will not matter if the headwaters, if Butte, is not done right," Villa said. The rest of the proposed cleanup plan addresses Butte’s water quality challenges. Especially how to better manage stormwater. That’s why the third cornerstone of the cleanup plan calls for building an extensive catch basin system along the base of the Butte hill. The basins will collect stormwater and drop out dirty sediments before the water enters Silver Bow Creek. However, if those additional controls don’t clean the creek to state water quality standards, the fourth piece of the plan is to use less stringent federal standards. 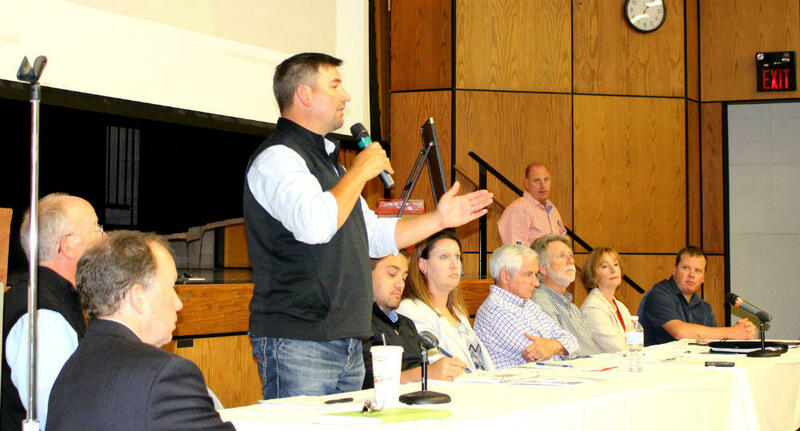 Once all of that cleanup work is in the rearview mirror, county Superfund coordinator Jon Sesso said Butte can move on to restoration and a post-Superfund future. During the Q and A that followed the public meetings, it was clear that there’s a diversity of opinion about how good or bad the draft plan looks at this point. 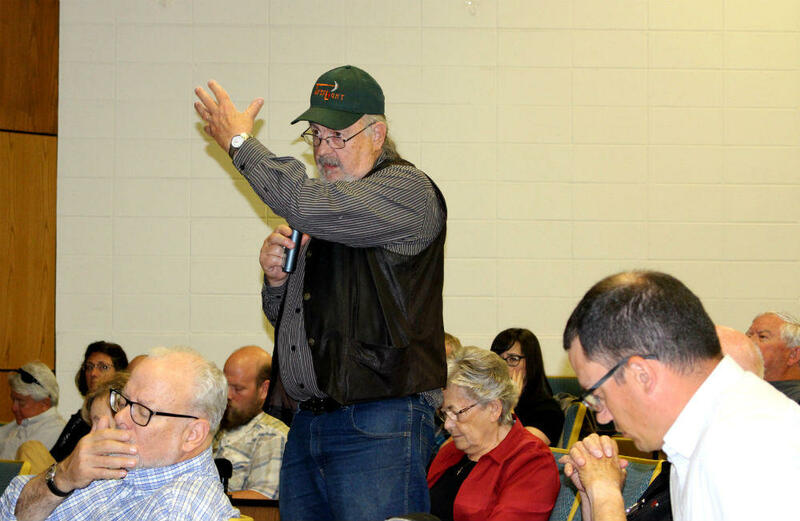 Questions from many members of the voiciferous Restore Our Creek Coalition revealed concerns over whether this cleanup plan will accommodate their vision of a free flowing Upper Silver Bow Creek. "What is the actual footprints of the Northside tailings right now and the Diggings East and what percentage of it is designed to be consumed by a basin?" one member asked. "Was there ever a proposal that you looked at that to pipe stormwater back up into the pit or anything that would have taken less area for sedimentation ponds?" another member asked. "Was it costed out? Could we know what it cost to do that? We could hold bake sales!" said another member. "If we cannot establish a beautiful, meandering creek flowing through this town. You have all failed. But you know what? I've failed too," another said. "Will the Record of Decision be written in stone or will there be mechanisms to revise it as the science evolves and mechanisms to fund that as the science evolves?" "Where will the additional needed to remove the Parrot Tailings, from whence will that money come?" "When you dig all this stuff up, are you gonna take it to mars? Or are you just relocating the problem uphill in the same drainage?" And still more voiced skepticism over how seriously their input will be considered, given how much time and effort the parties have already put in to come up with this draft plan. 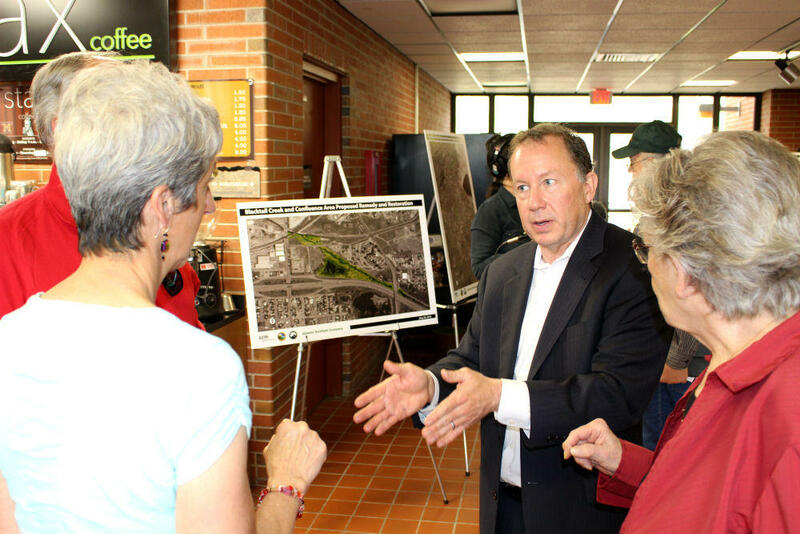 Interviewed between the meetings, Doug Benevento, the regional EPA administrator, said the agency welcomes questions, and will share more detailed plans in coming weeks. He said a lot of details are still being mapped out. The EPA’s goal is to keep working on the draft clean up plan, and turn it into a signed consent decree approved by a federal judge by the end of 2018, and to start cleanup work next spring. “If we find at any point in this process that there is a gulf that’s developed, and were not going to get there, then we would move to orders," Benevento said. That means the EPA has the authority to mandate its own cleanup unilaterally, if for some reason the parties who outlined the draft plan Wednesday lose consensus. Click here for more information on Butte's Superfund cleanup from the EPA. A top official from the Environmental Protection Agency will be in Butte Wednesday to explain the proposed Superfund cleanup plan that was made partially public by a federal judge last week. The final cleanup agreement, or consent decree, will cover most of the city and its land and water. The EPA has been negotiating it with state and local governments and industry in secret for the last 12 years. Now, those parties can share details of the plan for finishing a big portion of Butte’s Superfund cleanup.